OSgrid cleaned out about 1,000 dead region reservations from its grid map, but there was still a net gain in land area this month, with the public OpenSim grids adding the equivalent of 679 standard regions, for a new land area total of 57,612 standard region equivalents. OSgrid is the largest and oldest of all the grids running the OpenSim software and allows users to connect regions they host at home, for free. Since many home-based regions are only up part-time, typically when the owner has the computer turned on and the region active, the grid reserves the region spot for them on the map so that the owner doesn’t have to find a new spot for the region each time they re-connect. If the owner stops connecting that region, its map reservation is deleted, and it is no longer counted as one of the regions of the grid. The region itself is not deleted — the owner still has the full region stored on their home computer, and can connect it back again at any time. 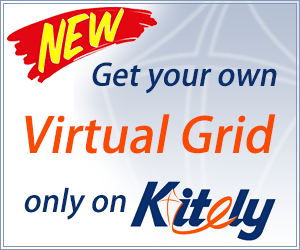 Grids that gained the most regions include StarLight World, Virtual Worlds Grid, Kitely, Virtual Brasil, AviWorlds, Atek Grid and A Life Virtual. AviWorlds in particular marked one year of continuous uptime on April 11 with a party. According to grid founder Alexsandro Pomposelli, this is the grid’s eighth incarnation. “After I gave up using the other hosting companies I decided to open my own, Avi-Labs, and that is the main reason AviWorlds is still online,” he told Hypergrid Business. Avi-Labs provides hosting for mini-grids — a small group of regions that run on a single server — and full grids, which can grow indefinitely. Prices for a standard 15,000-prim region are just $5 a month, with additional but still low charges for more prims, for grid services, and for setup fees. The company claims Sinful Grid and Baller Nation among its customers. 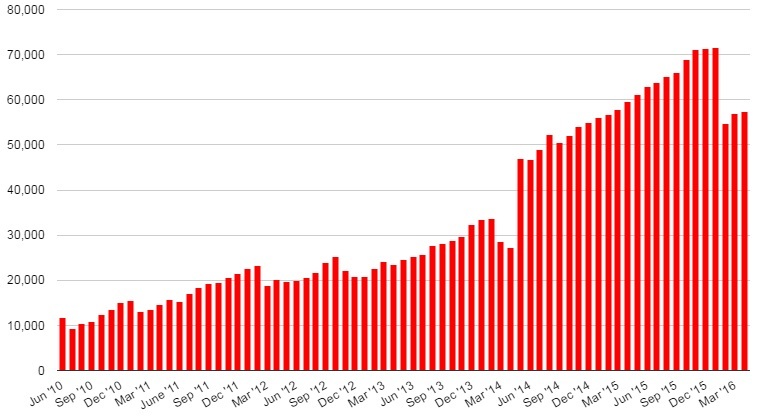 In addition to the growth in land area, OpenSim grids added 784 active users for a new record high of 34,491. The number of registered users went up by 11,836, the largest single-month increase since October 2013, and also hit a new record high, of 533,571. The Great Canadian Grid gained the most users this month, with 175 new actives, a gain of 12 percent, moving it up spot on the top-ten most active grids list. OSgrid gained 129 active users, followed by Metropolis with 117, SimValley with 114 and InWorldz with 112. In fact, out of the 34,491 active users this month, 26,088 — or 76 percent, a record high share — were on hypergrid-enabled grids. Many hypergrid-enabled grids report hypergrid visitors as part of their active user counts, so this number is not representative of the total number of individual people on the hypergrid. However, users who visit other closed grids create alts on those grids, so they are counted multiple times either way. Of the 8,204 active users on non-hypergrid grids, more than three-quarters, or 77 percent, were all on InWorldz. 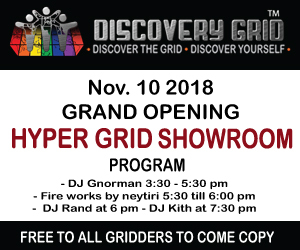 That means that the other 60 grids not on the hypergrid had just 1,876 users between them, accounting for just 5 percent of all active OpenSim users, a record low. That’s down from a high of 62 percent, back when Avination has the lion’s share of non-hypergrid active users. Closed grids do offer some benefits to their users. For example, schools might prefer to have closed grids to ensure the security and safety of their students. Grids serving marginalized or dissident groups in authoritarian countries might also prefer the safety of a closed grid. And grids offering proprietary role playing games, especially those who have invested in unique content, may be able to offer a better gaming experience as a closed grid. 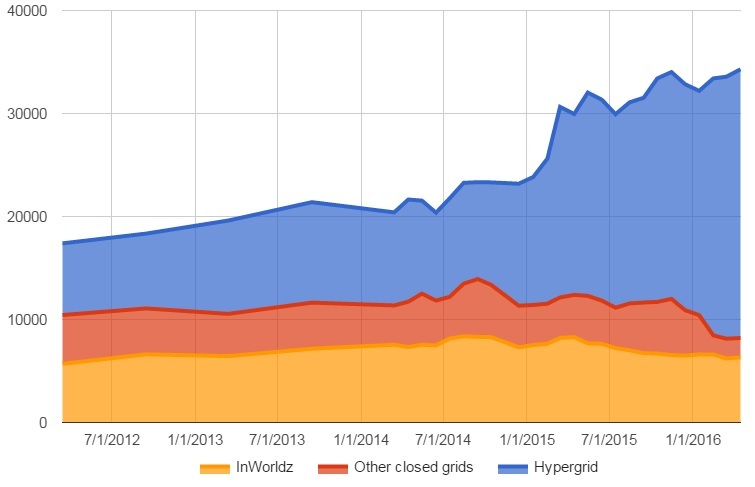 Over the course of the past year or so, as content filtering technology improved, more and more previously closed grids have been turning on hypergrid connectivity, allowing their users to easily travel to other grids while keeping proprietary content local. Social grids in particular immediately benefit from this, since their users can now make friends and attend events on the entire hypergrid, while local event organizers can promote their functions to the entire hypergrid community. One interesting new grid is the Virtual ABDL Grid, which bills itself as the grid for the “diaper curious.” It is hypergrid-enabled, and also offers free rental suites on a cruiseship. Either this is a grid for teenagers preparing for their first babysitting gigs, or an alternative lifestyle grid. And a new Russian grid launched on March 7, CyberFace. The grid offers free plots of land for residents and creators. The company behind it, Horus Corpus Studio, also offers the World Box, a Diva Distro-based packaged distribution of OpenSim. Other grids new to our database this month include Kaz Grid, Nichtort, Ascension Grid, and Atlantis. The following seven grids were suspended this month: AviRealms, Benelli Grid, CableGrid, Enoch, MeetIn3D, The Boggy Swamp, and Underground HipHop Connexion. The list below is a small subset of existing OpenSim grids. We are now tracking a total of 1,157 different publicly-accessible grids, 313 of which were active this month, and 222 of which published their statistics.